Bio: Michael Beck has worked in just about every branch of the music business.Local Music Director & on-air for the Phoenix based alternative rock station "The Edge",on air at rock station 93.3 KDKB, A&R for Warner Bros. Records & Hollywood Music. 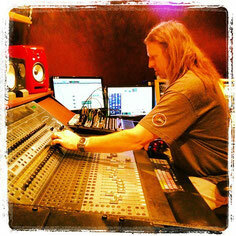 He is also a producer/engineer & recording studio owner for Mesa based SoundVision Recording Studios. Michael is also an accomplished touring singer opening for Cheap Trick, Candlebox, Stabbing Westward, 311, Prong, Bad Brains, UFO and many others. 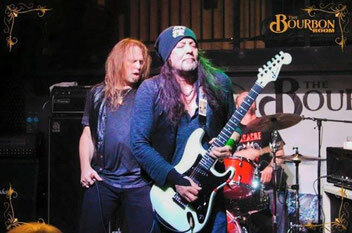 He spent 2015 touring with Ozzy Osbourne & Badlands guitarist Jake E Lee's Red Dragon Cartel. As a producer he has worked over 150+ releases with members of Chimara, Soilwork, Linkin Park, Andrew W.K, Knights of the Abyss, Marilyn Manson, Abigail Williams, Black Dahlia Murder, Lydia, and multiple Hard Rock Rising Phoenix Winners Lane Change and Rite To Remain. 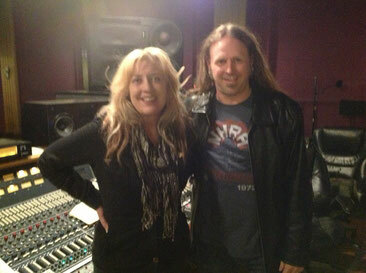 History: Some of the projects Michael has worked with include Dream Theater (Elektra), Paisty Jenny (Direct Hit Records), Andrew W.K,Pete Loren (ex-Trixter,Aezra Records), Abigail Williams (Candlelight Records), Knights Of The Abyss (Fearless Records), Split The Enemy (The Family Management), Tom Tatman (StoneSour, Tora,Tora), The Alice Cooper Tribute CD (Invisible Records), Alice Cooper "Proof Is In The Pudding" CD (Alice Cooper/Solid Rock), David Seibel's (Eve 6), Jarra (Lion Music Group), PhunkJunkeez (Interscope/Suburban Noise), Victims In Ecstasy (Sellout Records), Coughing Up Blood (Asperu Records), The Reflection (Common Wall Media), XRayOK (Cordless Records), Crushed (Mike Clink/911 Records), Billy Smiley (Whiteheart, Justified, Skyharbor), Ritchie Corsello (Eddie Money, Y&T) Sylvia Massey(Sevendust, Tool, RHCP) and many others.